Like so many works of popular fiction, Ling Ma’s debut novel is apocalyptic. Unlike most, Severance realizes that an anomic world offers a better chance to pose questions on an intimate level than a societal one. Ma’s dystopia is driven by Shen Fever, a pathogenic infection—fungal, a nice tweak of a microscopic detail which bodes well for the book as a whole—which arrives like the vengeance of the developing world. From the outsourced shores to her narrator Candace’s New York home, the fever sweeps across the globe, traveling along the same network of chains which once carried the cheaply produced goods, the curse of commerce made manifest. The victims’ peculiar pathology, wherein they tumble into a repetitive motion—setting the table; reading a book; modeling in a mirror; wandering a mall; a fatal dance with their desires—makes for some of the eeriest deaths since the bloodless victims of The Andromeda Strain. 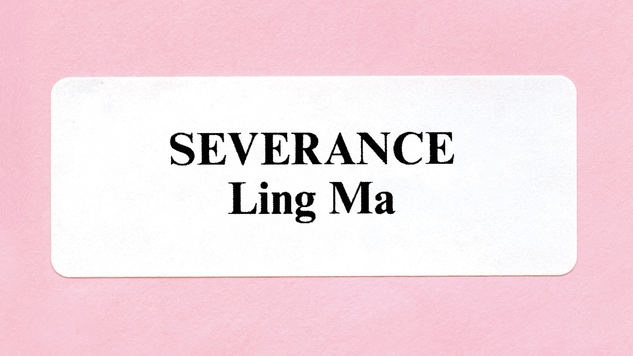 What Ma accomplishes with her fever-stricken world is what sets Severance apart. Rather than take the end of days as a chance for the usual pontifications on societal collapse—most seemingly ignorant that we built society from nothing the first time, and we would certainly do it again—Ma uses the disaster trope for interrogation on a scale small enough to lacerate. Candace is a first-generation Chinese immigrant, a project manager who ensures Bibles are made in Southeast Asia and China at cost, on time and with souvenir gemstones intact (worker’s lungs be damned). Then the pandemic hits, and she survives. When she’s not wandering the desolate stretch between New York and Chicago with her fellow survivors, she’s detailing her time before Shen Fever. From the challenges of living with a family trapped between two cultures to coming-of-age drama, Candace intersperses the usual intimacies of a wordier lit with the trappings of the genre piece her life has become. It’s the tensions between the two that prove Ma’s skill and provide a compelling reason for reading. By focusing on such small-scale issues in the wake of a catastrophe, Ma illuminates a person in the dystopia. Candace’s world is slowly dismantled, her mind buried in work, her eyes in a camera’s viewfinder, until it has dissolved away. There is little to fear or to forget. Where so many other works falter is in their failure to do the same. Severance’s sickness is a personal one, availing itself to the economics of scale just as corporations—or diseases—do.